SATURDAY, June 10, 2017 (HealthDay News) -- People with type 2 diabetes who aren't taking insulin don't necessarily need to check their blood sugar levels, a new study contends. Many of these patients use "finger prick" blood sugar monitors, but "testing blood sugar didn't have any impact on their blood sugar," said study author Dr. Laura Young, an assistant professor of medicine at the University of North Carolina. "The best way to control blood sugar is to take your medication the way your doctor asks you to and to take good care of yourself," she said. "The key is really taking your medications." Monitoring might be helpful when starting a new medication or changing doses, Young said. "But if someone is on insulin, they absolutely need to be tested regularly," she said. Insulin predisposes people to have blood sugar that's too low, a condition called hypoglycemia. Hypoglycemia can cause dizziness and weakness and, if not treated, lead to coma, Young said. "Patients should have a conversation with their doctor about whether or not they should be checking blood sugar," she said. For the study, Young and her colleagues randomly assigned 450 patients with type 2 diabetes who weren't taking insulin to monitor their blood sugar once a day with a typical blood sugar meter, once a day with a monitor that gave them a feedback message, or to not monitor blood sugar at all. The participants in the study were from 15 primary care practices in North Carolina. Their average age was 61, and they'd had diabetes for an average of eight years. About three-quarters were monitoring their blood sugar at the start of the study. After a year, the researchers found no differences between the groups in how well their blood sugar was controlled or in their quality of life. It's possible that these results were skewed by people who dropped out of the trial. An improvement in blood sugar seen in hemoglobin A1c levels was seen in the early months of the trial, but wasn't significant at the end of the trial, the researchers reported. Hemoglobin A1c is a blood test (usually done at the doctor's office) that provides an average of about two to three months of blood sugar levels. One diabetes expert agreed that routine blood sugar checks may not be necessary for these patients. 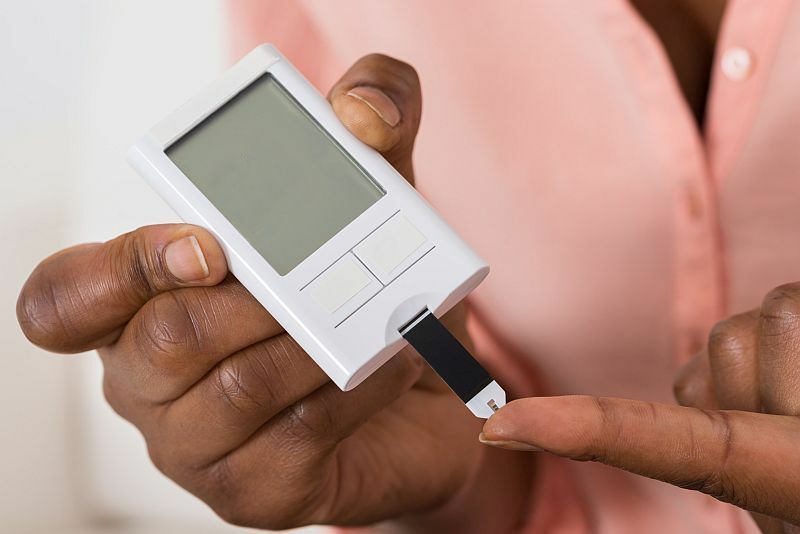 "The value of self-monitoring of blood sugar levels in patients not treated with insulin is minimal," said Dr. Joel Zonszein, director of the Clinical Diabetes Center at Montefiore Medical Center in New York City. "In my practice, I advocate that every patient with diabetes needs to have a monitor, needs to know how to check blood sugars, and needs to check blood sugars from time to time, when they are sick and when treatment is changed," he said. Zonszein agreed that the main reason to check blood sugar is not to see if it's too high, but to check if it's too low. This is especially true for patients taking sulfonylureas, such as chlorpropamide (Diabinese), he said. "These agents can cause hypoglycemia, and low blood sugar is something we want to diagnose and treat. Those patients on hypoglycemic agents such as sulfonylureas need to monitor more often, as they can have a low blood sugar and not even know about it," Zonszein said. The majority of his type 2 diabetes patients are treated with metformin and one of the newer medications, such as a liraglutide (Victoza) or canagliflozin (Invokana) or combinations of those drugs. "These patients tend to have a normal A1c and they rarely need to check their blood sugars, as these agents don't cause significant hypoglycemia," he said. In other studies, frequent blood sugar monitoring has been found to not be beneficial, and might also lead to depression, Zonszein said. "The authors proved what I have been telling my patients," he said. "Monitoring blood sugar is somewhat painful and very costly, and when it is done, it has to have a reason." The findings were published online June 10 in the journal JAMA Internal Medicine, to coincide with a presentation of the study at the American Diabetes Association's annual meeting, in San Diego. SOURCES: Laura Young, M.D., Ph.D., assistant professor, medicine, University of North Carolina, Chapel Hill; Joel Zonszein, M.D., director, Clinical Diabetes Center, Montefiore Medical Center, New York City; June 10, 2017, JAMA Internal Medicine, June 10, 2017, presentation, American Diabetes Association meeting, San Diego, Calif.